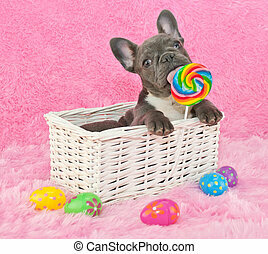 Easter dalmatain puppy. 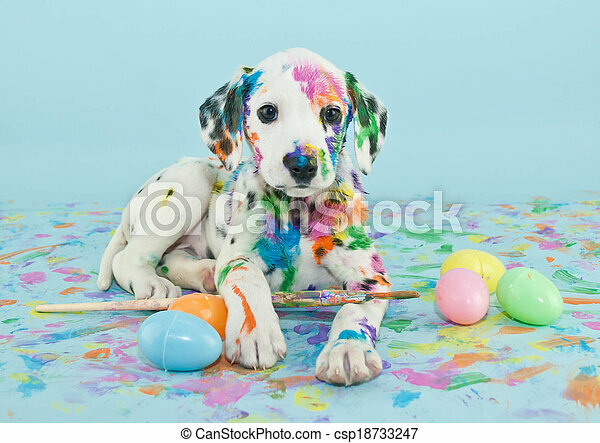 A funny little dalmatian puppy that looks like he just painted some easter eggs. 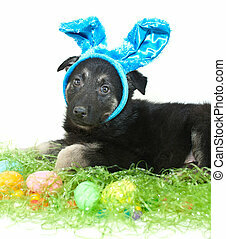 German Shepherd puppy wearing bunny ears with Easter eggs around him. 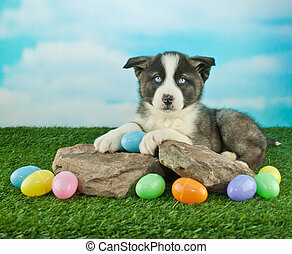 Pretty blue eyed puppy laying on rocks outdoors with Easter eggs all around him. 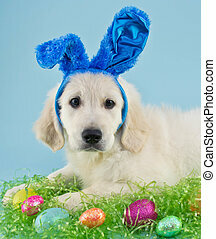 A sweet puppy wearing blue bunny ears with Easter eggs around him, on a blue background. 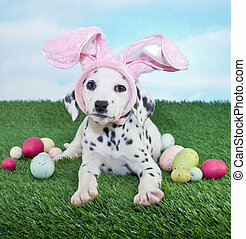 A silly Dalmatian puppy wearing bunny ears laying in the grass with Easter eggs around her. 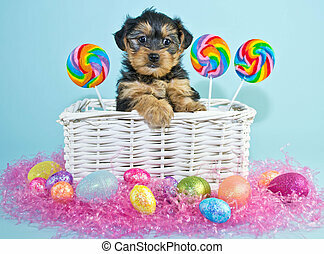 A cute Yorki-Poo puppy sitting in an Easter basket with Lollipops and Easter eggs around her. 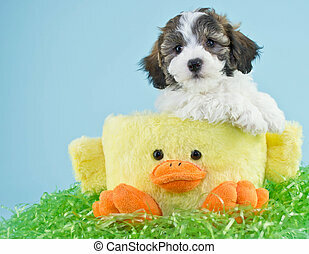 A cute little puppy sitting in a duck Easter basket with copy space, on a blue background. 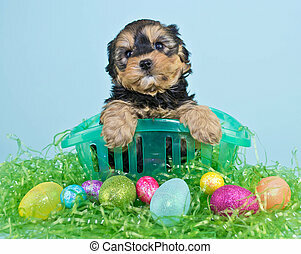 A little Yorki-Poo puppy sitting in an Easter basket with Easter eggs and grass around him. 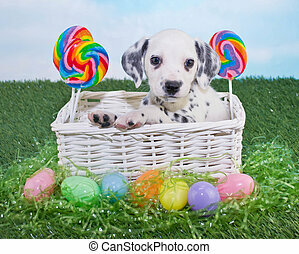 A cute little Dalmatian puppy sitting in an Easter basket with Easter eggs and lollipops around her. 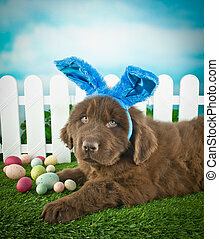 Silly Newfoundland puppy wearing Easter bunny ears, laying in the grass outdoors with Easter eggs around him. 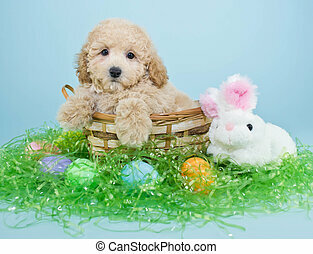 A cute little Poodle puppy sitting in a basket with an Easter bunny and Easter eggs around him. 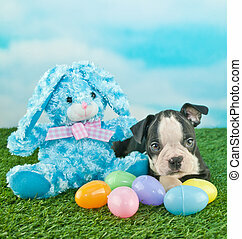 Very cute Boston Terrier puppy laying next to an Easter bunny and Easter eggs outdoors, with copy space. 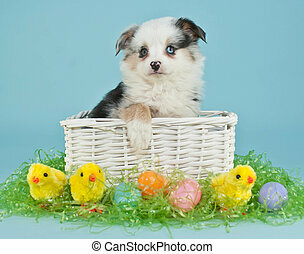 A cute little Australian Shepherd puppy sitting in an Easter basket with Easter eggs and baby chicks around her. 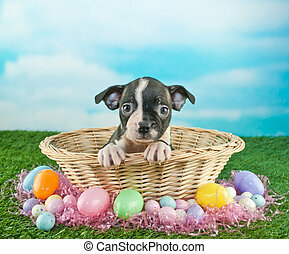 Cute Boston Terrier puppy sitting in an Easter basket with Easter eggs and candy around her, with copy space. 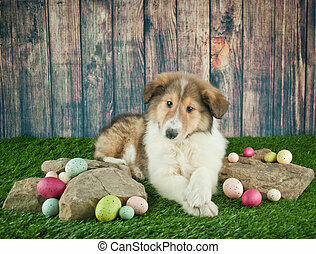 Cute Collie puppy laying in the grass with rocks and Easter eggs around her.